Dr. Oz is not only a heart surgeon, an author and a television personality, but also made the list of the most influential people in the world. Therefore, his recent dealings with the US Senate have sparked headlines. Everyone is beginning to wonder is Dr. Oz just a serial endorser? What responsibility does he have to his audience as a public figure? Oz has been a longtime supporter of various weight loss products, such as Pure Green Coffee and Garcinia Cambogia. Some companies will use Oz’s words in their commercials. 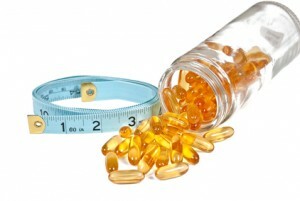 The Senate recently held a panel to evaluate false advertising on weight loss supplements and many panel members proved to be unhappy with Oz’s promises and assertions regarding products with little scientific evidence to support their benefits. Senator Claire McCaskill, chairwoman of the Subcommittee on Consumer Protection, Product Safety and Insurance, noted that Oz’s language gives consumers “false hope” and pondered his intentions in such assertions. Despite his admitting to the use of some suggestive rhetoric, Oz also asserts that he is not responsible for how other companies redistribute his words. So the question is, is Oz solely to blame for using “flowery language” in the first place or do companies take his assertions and spin them for their own benefit? Is Oz taking advantage of his audience in his position of influence or does he genuinely believe these products will work? Going forward, he promises to tone down the language and make an edited list of products that he believes have benefits. “To not have the conversation about supplements at all however would be a disservice to the viewer,” he says and adds that he hopes to find a way to stop future weight loss scams. Oz better make sure to support products that will actually produce results before the public begins to realize that his claims are not backed by any significant evidence and his reputation as a trusted influencer is no more. This entry was posted on Monday, June 23rd, 2014 at 4:03 pm and is filed under Celebrity Reputation, Featured, Reputation Headlines. You can follow any responses to this entry through the RSS 2.0 feed. You can leave a response, or trackback from your own site.